While I have many favourite stamp sets, Fabulous Florets is the pick at the moment. I have been making 2013 Easel calendars for my final craft fair at Wesley Centre, Upper Hutt, on the 1 December. I have been attending this fair for three years. Will miss seeing my "regulars"! Hope you will pop along to say goodbye - I am off to Wanganui in 2013! These Easel Calendars are so quick to put together and I am really hoping they will be a hit. Now I just need to work on a couple more designs. This one was nice and simple, but I knew it would be really effective too. I love the graduation of colour I managed to achieve as well. I have a heap of the Confetti White cardstock (which is now retired) to use up, but it makes for a great card base! To do this card, I simply choose the border stamp from Summer Silhouettes and used my Stampin' Write Markers to ink up the individual rows on the image. 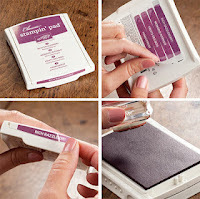 Of course you also need my most used and loved tool - the Stamp-a-ma-jig, to ensure perfect placement of your stamp. Hope you like! I used them only as pencils - no water added! It has been a long time since I coloured with pencils and I am a wee bit rusty, but just had to share this way of colouring. Instead of stamping the image in Black, I stamped in River Rock to get a light line image. I then went ahead and coloured the image as I normally would. I LOVE the 3 dimensional look of colouring this way! I think perhaps next time, I will use Sahara Sand, as River Rock is just a wee bit too yellow for my liking. I am so glad I dusted off these wonderful, versatile pencils. I forgot just how much I love good old fashion colouring in! I also love, that with just a little water added, I can turn this into a watercolour picture instead - amazing! I made this card for friends whose wee baby daughter is due to make an appearance any day. I wanted cute and girlie, but not necessarily baby images, I love the delicate balance to this card. What do you think? It's been a while since I entered a challenge, so I thought I would give the Pals Paper Arts challenge a go this time. After prepping three classes, I needed a bit of a change from the repetitive measuring and cutting! It was the colour combination of this challenge which caught my attention. I knew exactly what I wanted to do. I have a whole heap of Calendars for 2013 to use up and I have been making some for my upcoming Craft Fairs. 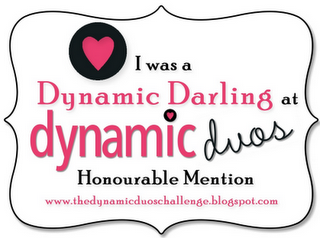 This design is not what I have already been working on though, but rather, one I wanted to see down on cardstock! I really like Easel cards and haven't done one for a while, so I thought I would make it into an Easel Calendar instead! I think I will be making a few more of these! 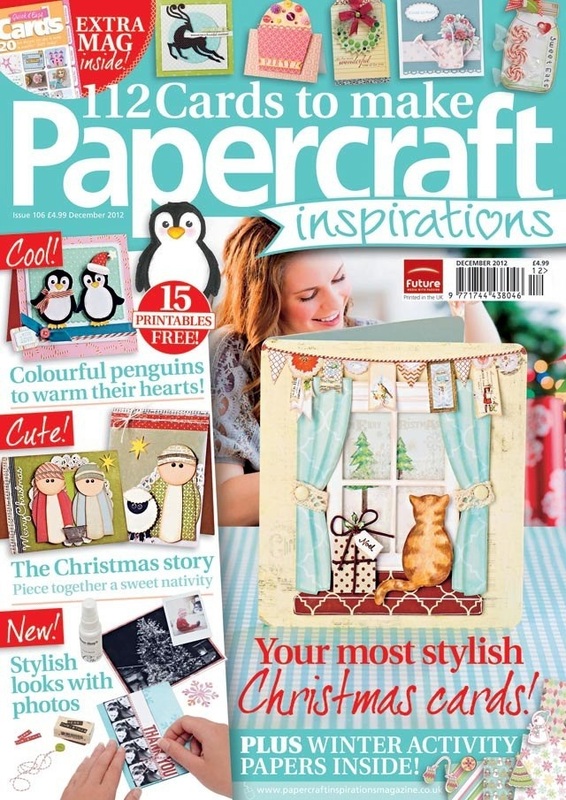 I have been sitting on a big secret for a couple of months, that I can finally share with you now - I have been published in Papercraft Inspirations Magazine Issue 106 which you can view online HERE!! My "Believe" Card has been included in a double page spread called "Beautiful Blogs" and I am absolutely delighted to have been asked to submit a card! 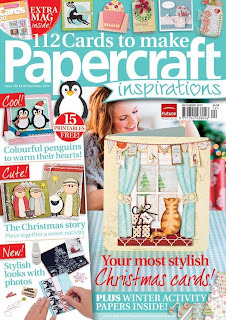 Watch out for the December issue, which we should have in-store here in New Zealand in about 6 weeks or you can purchase the Digital issue straight from Papercraft Inspirations. You can view my original post of the "Believe" card right HERE. It's Halloween tonight and that means little Munchkins knocking on the front door ready for lollies! While Halloween is still a new concept in New Zealand, I know it is huge overseas. We are slowly joining in! I love the Halloween stamp sets available to us this year. I just had to have a play around with this wee cutie "Toxic Treats". I have used my Stampin' Write Markers to ink up the stamps, that way I could pick out only the images I actually wanted, omitting some of the fancier scroll work. I have also used the new embossing folder "Spider Web" to create the raised image on the card base. And for the little Munchkins? Lollipops of course! Unfortunately, this little stamp is retired, but it made Lolli decorating quick and easy! Back to my first love - sponging, after trying out quite a few different techniques lately. I teach a monthly Techniques Class and needed to broaden my techniques horizon, hence the practice! However, today we are going back to basics. This is the card my lovely ladies will be doing as they brush up on their sponging technique! So many more techniqes have a level of sponging to them and I can't wait for my ladies to graduate on to these more challengeing techniques. Well, actually ink in this case! With a straw - you get the picture. 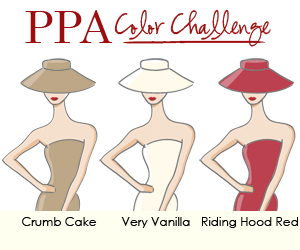 I came across this cool technique on Pinterest by the very clever Kay Kalthoff. I went to her site and watched her video and just had to find a straw right way to try it myself! Luckily, I had a lone straw floating in the back of my junk draw. Never throw anything away! Want to try this technique for yourself? Just click HERE to see Kay's awesome video. Thanks Kay!! Of course, I have also used the gorgeous Primrose Petals Stitched Satin Ribbon which is just one of five colours you can earn FREE with every $70 order you place with me before the end of October. Not too many days left on this great value promotion - email me quick so you don't miss out! I thought I would try my hand at a new technique I have been seeing around lately. I am really pleased with the results of my first try and wanted to share it with you. To achieve the background, I simply coloured an acrylic block with four Stampin' Write Markers and then spritzed lightly with water. This allows the colours to blend together and once stamped on your cardstock, gives a real water colour effect for your background. I then simply stamped over the top with a solid image. You don't need to be a water colour artist to achieve this look. It is so easy! 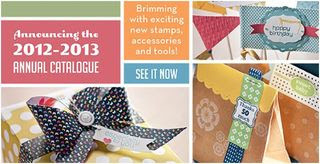 I was so excited to see Greeting Card Kids in the new Stampin' Up! catalogue and it was first on my wishlist. This cute wee set is fabulous for watercolouring and that is just what I did here. I have kept this nice and simple again, letting the image do the work although I did add a wee bit of texture with the embossing and ribbon. ON TO A GOOD THING? Since I came up with a such a quick card the other morning (see my last post), I figured why not do another CAS using the same simple design, but flip it instead! I could knock out a batch of these quick cards and they would all look so different with the vast selection of stamp sets available with Stampin' Up! Maybe both these cards have inspired you too? Why not get that stamp set you have on your Wish List but haven't ticked off yet! Give me a call or email me your order. Don't forget - just spend $70.00 and recieve a FREE spool of the new In-Colour ribbon if you order before the end of October! A CAS CARD FOR YOU! It's not often I get time to make a quick card in the morning before I leave for work, but I did this morning! While checking out my regular blog haunts I came across a challenge at Casology and straight away I knew what I wanted to do. I also challenged myself to do it in under 10 minutes! Quick, simple cards are not easy for me to do! The challenge this week is to use "LEAF" as your guide. Of course, I love Stampin' Up! 's French Foliage set, so that was what I used, with a mix of an Old Olive and Soft Suede colour pallet. I also used some twine and a new Naturals Designer Button just to add a bit more dimension, while still keeping it simple. 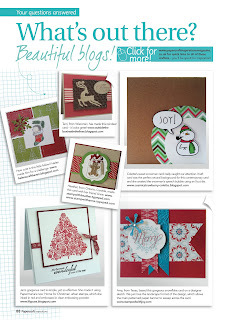 I have one last Heartfelt sample to share with you - A Scrapbook page! Yes, that's right, from one who struggles with these projects! I really challenged myself with this one. I had the beautiful Snowflake Soiree stamp set to play with, but since we don't have a winter Christmas I was really stumped about what to do with it. Luckily for me, I had taken lots of photo's of the snow we had here in Upper Hutt last Winter. We don't normally get snow at all here so this was a really BIG event. What better way to remember it, then with a page? I used the Emboss Resist technique on the Whisper White page, stamping snowflake images in Early Espresso, Crumb Cake and Baja Breeze, then stamping some in Versamark and heat embossing those images in clear embossing powder. I then brayered the same colours all around the edge of my page, gradually fading back to white towards the middle. 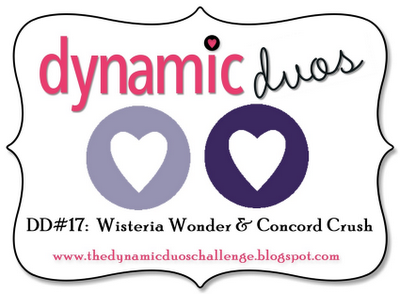 I picked colours from the photo to team with some of the lovely Stampin' Up! Designer Papers. A little bit of red from the flaxes for a bit of Bam on the page! 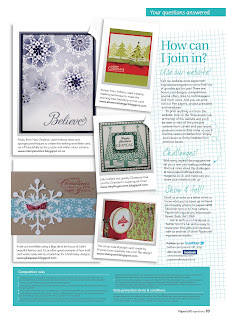 I also used the Snow Flurry die, from our seasonal Holiday Catalogue to cut out Glimmer paper. I coloured the Glimmer paper ever so slightly in Baja Breeze and Crumb Cake. This page is not completely finished. I want to put the title "Brrr-it's cold outside" on there yet. Just need to get my hands on some more delicious SU goodies to complete it! 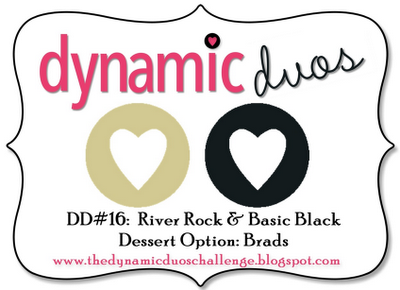 Another wee project I Brayered for Stampin' Up! 's Heartfelt event was this Christmas Frame. I have used non traditional Christmas colours though - Soft Suede, Summer Starfruit, Primrose petals and Midnight Muse. A pretty unlikely combination, but it worked! I enjoyed doing this because now I have a framed piece of artwork for my home at Christmas. It was actually a few of my customers that suggested some of my cards were just too nice to send and should be framed first. Thanks for the vote of confidence guys! It’s not quite warm enough to hit the pool yet, but be sure to take advantage of the ‘spool’—Stampin’ Up!’s ‘It’s Spool Time’ promotion, that is! During October, get a FREE spool of Stitched Satin Ribbon with every $70 purchase—choose your favourite new In Color or earn all five! Purchase $140 and choose two - there are no limits! 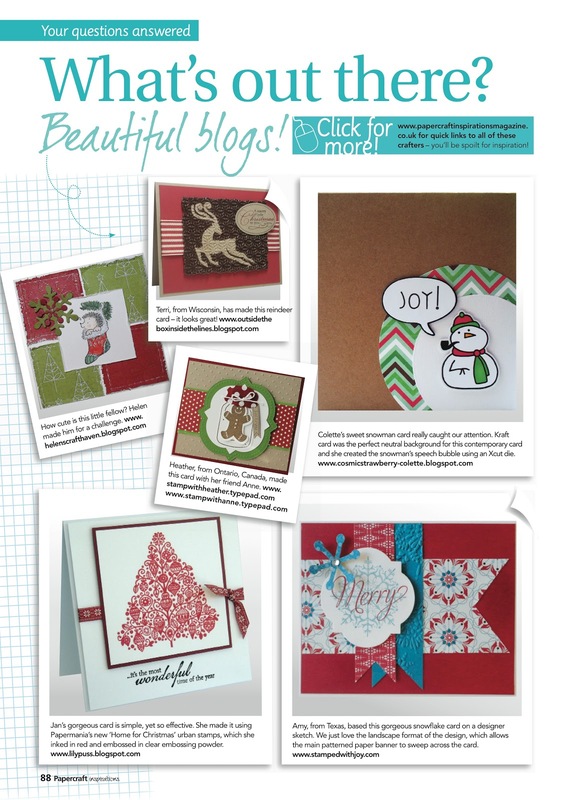 Promotion Details: At Stampin’ Up!, it’s spool time! For the month of October, get a FREE package of 3/8" (1 cm) Stitched Satin Ribbon—a $19.25 value—for every $70 you spend!